Researchers have discovered a cocktail of chemicals which, when added to pluripotent stem cells in a precise order, turns on genes found in kidney cells in the same order that they turn on during embryonic kidney development. The kidney cells continued to behave like kidney cells when transplanted into adult or embryonic mouse kidneys. The scientists successfully coaxed these stem cells to become kidney tubular cells, a significant advance toward one day using regenerative medicine, rather than dialysis and transplantation, to treat kidney failure. The findings are published in the Journal of the American Society of Nephrology (JASN). Chronic kidney disease is a major global public health problem, and when patients progress to kidney failure, their treatment options are limited to dialysis and kidney transplantation. Regenerative medicine -- which involves rebuilding or repairing tissues and organs -- may offer a promising alternative. Albert Lam, MD, Benjamin Freedman, PhD, Ryuji Morizane, MD, PhD (Brigham and Women's Hospital), and their colleagues have been working for the past five years to develop strategies to coax human pluripotent stem cells -- particularly human embryonic stem (ES) cells and human induced pluripotent stem (iPS) cell -- into kidney cells for the purposes of kidney regeneration. "Our goal was to develop a simple, efficient, and reproducible method of differentiating human pluripotent stem cells into cells of the intermediate mesoderm, the earliest tissue in the developing embryo that is fated to give rise to the kidneys." said Dr. Lam, noting that these cells would be the "starting blocks" for deriving more specific kidney cells. The investigators were able to differentiate both human embryonic stem cells and human induced pluripotent cells (IPSCs) into cells expressing PAX2 and LHX1, two key markers of the intermediate mesoderm. 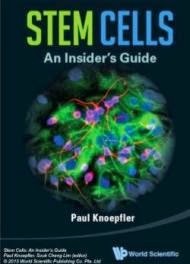 The IPSCs were derived by transforming fibroblasts obtained from adult skin biopsies to pluripotent cells, making the techniques applicable to personalized approaches where the starting cells can be derived from skin cells of a patient. The differentiated cells expressed multiple genes expressed in intermediate mesoderm and could spontaneously give rise to tubular structures that expressed markers of mature kidney tubules. The researchers could then differentiate them further into cells expressing SIX2, SALL1, and WT1, important markers of the metanephric cap mesenchyme, a critical stage of kidney differentiation. In kidney development, the metanephric cap mesenchyme contains a population of progenitor cells that give rise to nearly all of the epithelial cells of the kidney. The cells also continued to behave like kidney cells when transplanted into adult or embryonic mouse kidneys, giving hope that investigators might one day be able to create kidney tissues that could function in a patient and would be 100% immunocompatible. "We believe that the successful derivation of kidney progenitor cells or functional kidney cells from human pluripotent stem cells will have an enormous impact on a variety of clinical and translational applications, including kidney tissue bioengineering, renal assist devices to treat acute and chronic kidney injury, drug toxicity screening, screening for novel therapeutics, and human kidney disease modeling." said Dr. Lam.